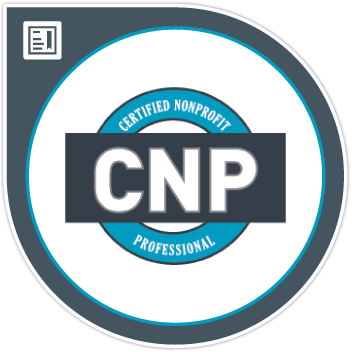 The Certified Nonprofit Professional or CNP is the only national nonprofit management credential in the U.S. Earners of this credential have successfully completed a rigorous leadership development program that includes assessed coursework and applied learning opportunities, such as internships, consulting projects, and service-learning activities. Research shows that CNPs have the critical skills and networks necessary for successful leadership in the nonprofit sector.